Yesterday, we had lunch with Nai Nai‘s side of the family. 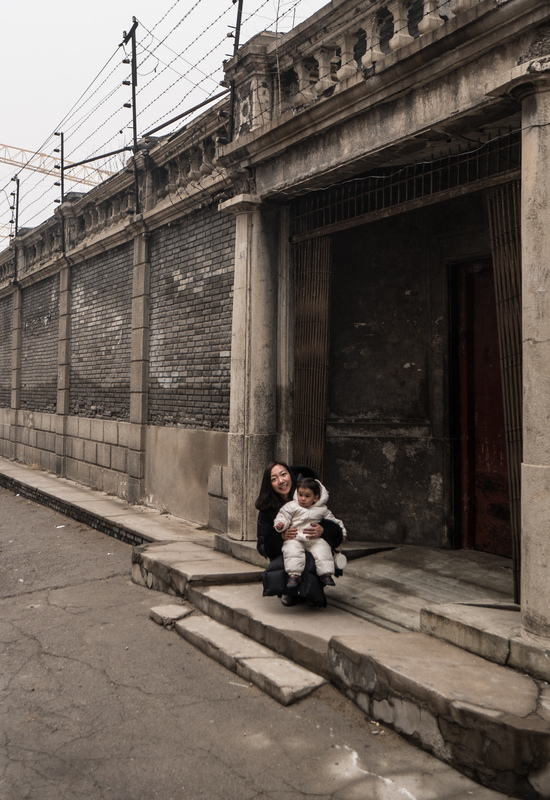 She lives in one part of the siheyuan pictured behind Shanshan and Chong Chong. The siheyuan is located inside the East Second Ring Road. There used to be a village of such dwellings. But, over the last few years, the others have been torn down to make room for a shopping mall, and an upscale hotel complex which is under construction… you can see one of the many boom cranes in use in the background of the picture. The families living in the siheyuan have served the government in one function or another. So, at least until they pass away (which will hopefully be a long time from now) it should be safe from demolition. btw, we had lunch in a restaurant located in the nearby mall; the meal was primarily of Western food. Posted in Beijing Youjian and tagged beijing, china, siheyuan, Spring Festival on 2015-02-22 by sujinyan.